A little over a year ago, I read that Iris reticulata doesn't require a cold period to flower. I got all excited, and planned to try growing them indoors for effortless winter color, but it was too late and I couldn't find them for sale anywhere. So this fall, I bought a couple bags. I kept forgetting to pot them up, but in early January I stuck them in a pot, and put them in a sunny windowsill. In short: It works! I have glorious fragrant irises blooming while there is a good six inches of snow outside, and they were no work whatsoever. As easy as paper whites or amaryllis, but without the need to stake or douse with alcohol to keep them from falling over. I think these are my new favorite bulb for winter flowers! Next year I'm going to buy oodles of them and start planting them up earlier so I can have them all winter. Before I opened this book I knew two things: It would be beautiful, and it would be fun. Anyone who has read Ivette's blog, The Germinatrix, would expect the same. Ivette's prose, like her gardens, is unabashed, exuberant, and a rollicking good time. And in terms of visual beauty, even my high expectations were blown away... This book is GORGEOUS. If you have any doubts that vegetables can be beautiful, the lush sensual photographs in this book will change your mind. I want half of them framed. 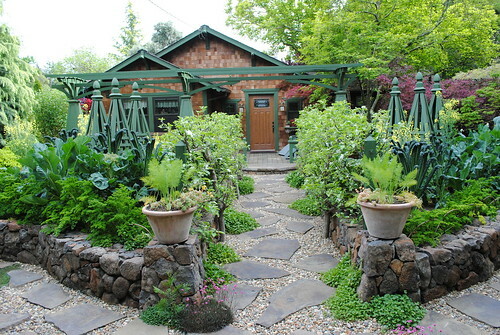 One of the gorgeous edible gardens in the book... WANT! I was curious, though, on the practical front. 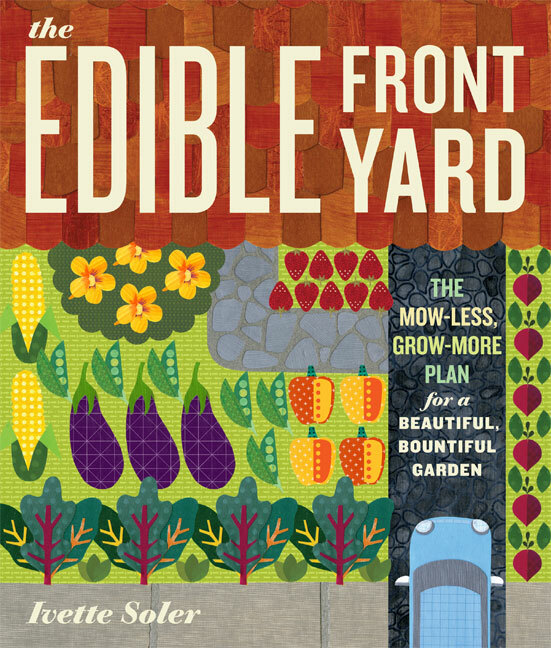 This is a book about growing beautiful fruits and vegetables as an integrated part of a front yard display garden. Ivette knows her stuff, but she lives in Southern California, while I live in Michigan. Would anything actually apply to me in my garden? The first thing I did was flip to the practical sections – Chapters 6 through 10 go over the mechanics of planning, hardscaping, maintaining, and harvesting an edible ornamental garden. I had no need to be worried. The principles covered are solid, fundamental, and universal. Beginning gardeners will still need a good local book (or wise mentor) to school you in the vagaries of your particular climate, but this book covers most of the basics, and helps you know what questions you need to ask about where you garden now. Beyond the usual talk of irrigation, compost, and harvest, I was thrilled to find detailed information for DIY hardscaping. Lovely paths, patios, and raised beds are a key part of any ornamental garden, edible or not, but so many garden design books simply assume you'll be hiring someone else to install them. Ivette recognizes that not everyone has that kind of budget, and gives great, clear, economical instructions on doing it yourself. I'm inspired now, and this summer I am finally putting in that patio I've been wanting! In the garden maintenance chapter, I had minor quibbles with the confusion of the terms “chemical” and “synthetic” (organic fertilizers are still chemicals) and the assumption that everything organic is safe. My only major concern is that she doesn't address lead contamination. The soil near older homes and roads are frequently contaminated with lead from old lead paint and the exhaust from leaded gasoline. Before you plant anything you are going to eat in a hell strip or next to your house, GET A SOIL TEST. Lead poisoning is a serious risk, especially for children. I should have known Ivette would get it right. She guides you through considering your personal style, the look of your house, your neighborhood, and your city to create a garden that evokes the feel you want. 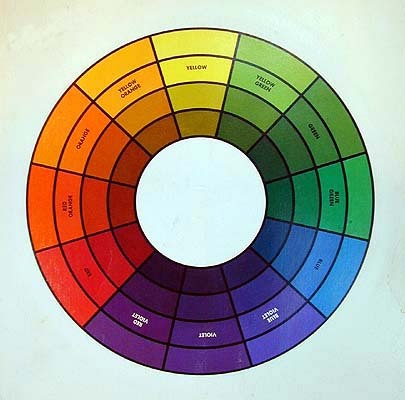 One specific suggestion that I am TOTALLY going to start using, is called a mood board – basically using a cork board to brain-storm colors, textures, plants, and hardscaping. Maybe designer-types all have heard of this, but it is new to me, and I love it. That is the tone of this entire book – Ivette gives you the basic guidelines and concepts you need to be successful, and then points you to developing the personal, creative style that you will enjoy and reflects your individuality. In short, this is a terrific, gorgeous, book about growing ornamental vegetables – but at its heart, it is a spectacular, inspiring book on garden design -- of any kind. 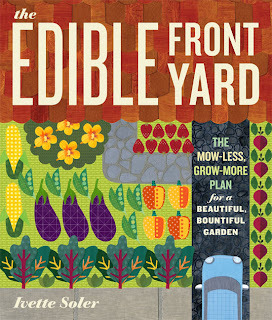 Even if you have no interest in growing food, you should read this book. It will inspire you to be a better designer, and the absolutely gorgeous shots of artichokes, chard, and purple-leaf basil will probably convince you to grow them even if you don't like how they taste. Full disclosure: I received a copy of this book for free to review. A while ago I posted briefly on the potential for using charcoal to improve soil quality. Since that time, I've been reading on and off on the topic. As an aside: If you are interested in delving into this more, you should know that the preferred term is “Biochar” not charcoal. It is the same stuff, but biochar is used much more commonly when discussing using charcoal as a soil amendment and will give you better google results. The idea for using charcoal (biochar) to improve soil comes from studies of the Terra Preta or Amazonian Dark Earth soils found in the South American rain forests. 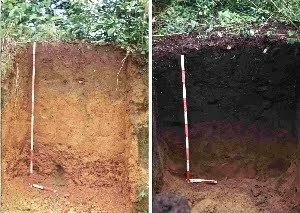 The surrounding soils are typical for rainy tropical areas: highly acidic, clay, nutrient poor, containing virtually no organic matter, and are virtually impossible to farm on. The Terra Preta, in stark contrast are dark, nutrient rich, high in organic matter, and support excellent crop growth. What is amazing is it appears these rich soils were man-made by pre-Columbian Indian societies, and the key ingredient in this transformation seem to be adding charcoal. Obviously excited by this, people have been studying the potential for charcoal as a soil amendment. The scientific research on the subject is still in its infancy and, like most new science findings, probably overstate the case but still look pretty cool and extremely interesting. Anyone who gardens these days has probably got the memo that organic matter is great for soil. Compost, mulch, whatever, organic matter promotes the growth of beneficial soil microrganisms, helps soil retain water and nutrients, loosens heavy clay soils, etc. But soil organic matter rots. Eventually, as soil fungi and so forth munch on it, it vanishes away back into the water and carbon dioxide that it was made out of. Because of that, most tropical rain forest soils are extremely low in organic matter – the warm, moist conditions speed up the decomposition process so much that added mulch or compost melt away seemingly overnight. 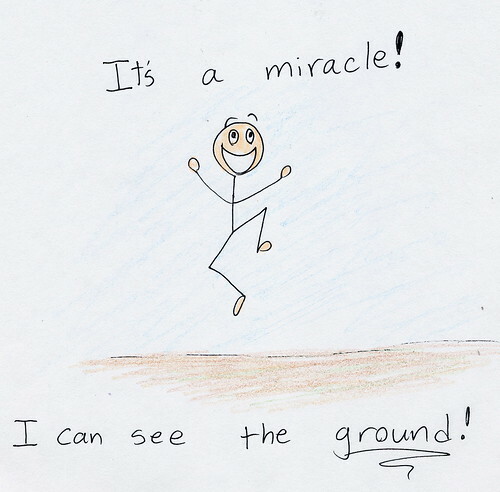 Charcoal in the soil, it appears, has many of the same effects as organic matter: Improving soil structure, increasing water and nutrient availability, moderating soil acidity, promoting microorganism growth. But unlike compost, charcoal decomposes very, very slowly, on the scale of millennia, not months or years. So the charcoal added to the soils in the Amazon by Indian societies are still there, hundreds of years after those societies themselves were wiped out by the arrive of Europeans bearing small pox. This extremely slow decomposition provides another bonus. As plants grow, they take carbon dioxide out of the air and use it to build leaves and roots and wood. When they die, and rot or burn or whatever, all that CO2 goes right back out into the air. Which was fine, until we humans started pulling carbon that had been stored underground in the form of coal, oil, and natural gas, and burning it, thereby putting way MORE carbon into the air and causing that whole global warming thing you may have heard about. But if we take a plant, and make it into charcoal, that carbon gets locked up, safe and sequestered in the soil we've added it to. In other words, adding charcoal to your soil might not just improve your soil quality, it takes carbon out of circulation, helping reduce global warming. So, should you be adding it to your soil? I don't think the research evidence is there for it to be really universally recommended, but I do think it could be fun to play with and see what effect it has in your conditions. Based on what I've read, you've got the best chance of it being helpful if you have heavy clay soil, acidic soil, and garden in a warm climate where soil organic matter vanishes very quickly. Since charcoal will raise your soil pH, making it less acidic, it is probably not a good idea if you already have alkaline soil, or are trying to grow plants like rhododendrons or blueberries that prefer a very acidic soil. Charcoal can also absorb a lot of nutrients, so most things I've looked at recommend that you mix it or soak it in something high in nitrogen, like composted manure or even urine before adding it to the soil. One pound per square foot is a recommended rate I've seen, but I don't think there is really the data yet to really have a firm number. Whatever you do, keep good records so we can learn from your results. Apparently, you can use regular charcoal like you buy for your grill, but you need to make sure it isn't mixed with anything nasty. Briquettes are usually made with chemical binders that might be harmful to your soil, and certainly you don't want the stuff that has already be doused with lighter fluid. Gourmet “chunk” style charcoal is supposed to be good (but pricey), as are brands of briquettes that are bound together with corn starch. You can also make it yourself... But that looks like a bit of work. I think I'm going to try using it this year. I'm planning to prepare two new beds, adding charcoal to one, and not to the other. I'll try to keep the otherwise as similar as possible so I can compare how it seems to effect the growth of my plants. I'll keep you updated on how it turns out! If you try it as well, please leave a control plot untreated for comparison, and PLEASE let me know what you think! I'm very curious. Okay folks, you love Sciency Answers on my blog... now you can experience Sciency Answers -- LIVE! I'm going to be speaking at the Spring Into Gardening Conference Saturday, April 30th, put on by the Isabelle County Master Gardeners here in Michigan. It'll be a great program with some other great speakers, so if you don't live too far, do come and see what I look and sound like in person! 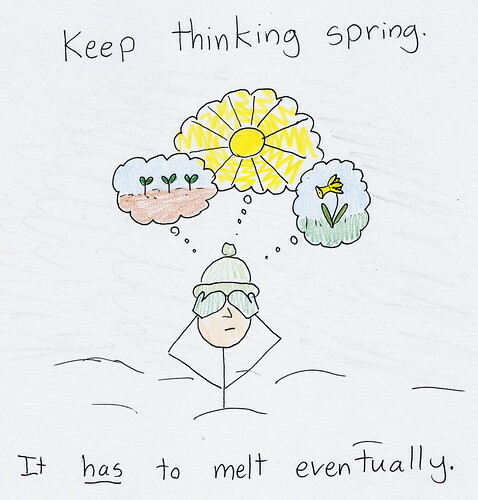 Given most of the country got hammered with snow this week, I thought I'd share how I, a native of the Snow Belt deal with snow. Denial. And another cluster getting some back-lit action by my variegated agave. Who wouldathunk? I think I like it better as a winter flowering houseplant than I did in the garden last summer!